For most of us growing up in India, captive elephants seem to be an integral part of our cultural landscape. We are used to seeing them at festivals, in temples, in circuses, on safaris, in plantations and even on the road, begging for alms. The chains around their feet, the stoic expression on their faces all seem part and parcel of their captive existence and not many of us doubt that they are loved and revered by their mahouts (elephant keeper), owners and of course, they are a big draw for devotees who want to be blessed by this reincarnation of Lord Ganesha. However, the truth behind commercial elephant captivity in India is not as romantic. It is in fact, a relentless life spent on concrete floors, dark airless rooms with asbestos roofs, inadequate nutrition or access to water, little or no opportunity to interact with other members of their species and poor medical care. Needless to say, they also have to bear and an unending parade of weddings, temple festivities and other commercial activities that they have to perform in, at risk of being beaten if disobedient. How many of us would be comfortable knowing that the richly decorated elephant with bells hiding her chains, is actually suffering every minute of her inescapable life of slavery? Elephants cannot ever be completely domesticated, what is true for a wild elephant is similarly applicable to a captive elephant. So, if a wild elephant lives in a herd, forages for food, eats over 300 kilos of fodder in a day, spends hours wallowing in swampy mud pastures, or soaking in lakes, migrates over large distances, lays down to sleep, or mates and has children, or even socializes, then each of these activities are necessary for a captive elephant to have a safe, healthy and productive life. Sadly, almost none of India’s 3500-4000 captive elephants have that luxury in its entirety, and for elephants held for temple duties, or commercial events, none of this is possible. Elephants are protected under the Schedule I of India’s Wildlife Protection Act, but due to our historical, social and religious context, those held in captivity are excluded from this protection. It is time to change this narrative. Lakshmi was captured from the wild as a baby, she is 60 years old today, and she has spent that entire time in captivity, living in a dark room, performing commercial activities, and having no opportunity to remember that she ever had a wild past. 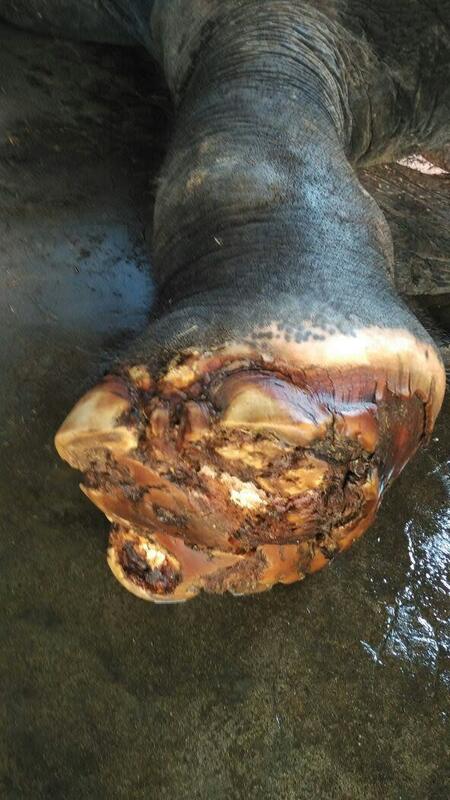 She suffers from terrible medical neglect, with one of the worst cases of foot rot ever seen. Most captive elephants are prone to foot problems for example foot rot, abscesses, overgrown nails and cuticles and pad separation, which do not occur in the wild because they are walking on natural surfaces that take care of these issues. She has a home waiting for her and a new friend, another rescued elephant called Aneesha. This new home is spread over 2 acres of green pasture, with a new hydrotherapy pool being constructed, and many opportunities to play, rest, eat well and spend the retirement years in a cruelty-free and safe environment. We need to raise enough money to facilitate her transport to Malur, and we cannot do it without the support of committed and caring individuals such as you. Lakshmi has given 60 years in the service of humans at the cost of her health and happiness. She deserves a second chance at living a life that nature always intended for her. Please help us to make this possible. She has been treated for her foot problems and even has special shoes to wear till she’s better. She’s ready now to make her journey to her final home. Her paperwork is in order and the team is ready for her arrival. 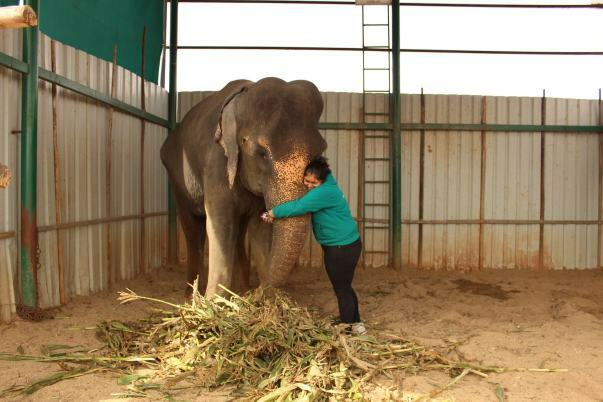 All we need is your support to help Lakshmi live her new life. We write to you with heavy hearts, as we were all set to bring Lakshmi to her permanent home to our Elephant Care Facility in Malur, Karnataka as decided by the Animal Welfare Board of India, and the concerned Forest Dept. However, the situation at the transit centre, which is a small farm run by a local community member acting as a caretaker agency , and was only to be used as a holding place for Lakshmi, till we received the transport orders, to take her to our rescue centre, has taken an unfortunate turn. The local citizen, who owns the transit centre, is now refusing to let us take Lakshmi, since he wants to run public viewing programmes and earn from her presence there. Please note, that all the expenses for Lakshmi's care, medical treatment, salary of her mahout has all been paid for by WRRC, and the contribution of the transit space owner, has been only to provide the space. It is not a suitable space for her in the long term, and it was only brought into the picture, as at the time of her initial rescue, she was not well enough to undertake the long travel to Karnataka. Today, she cannot be kept in isolation as the caretaker agency intends to do, nor be used for commercial purposes; especially when we have our family of rescued elephants waiting to meet her and make her a member of their herd. Elephants need space and opportunities to socialise with their own species, for their emotional, mental and physical well-being. Lakshmi was examined by government veterinary practitioners recently and there is an endorsement to the effect that her condition has improved immensely after the treatment we have provided and that her pain has reduced. The report further states that the elephant will require steady treatment on a regular basis and that owing to the inability of her original custodian to take care of the elephant and to provide for the finances in relation to her medical treatment, he had approached WRRC. In fact, initially, we had been given permission to move her to Karnataka right away, but since a senior Veterinary Practitioner, Dr. P. Ramachandran conducted a follow up examination of the elephant on 07.06.2016 to check the ability of the elephant to be transported to Bangalore and found that at the time, she would not be able to undertake walking long distances and would not be prepared for long transportation. 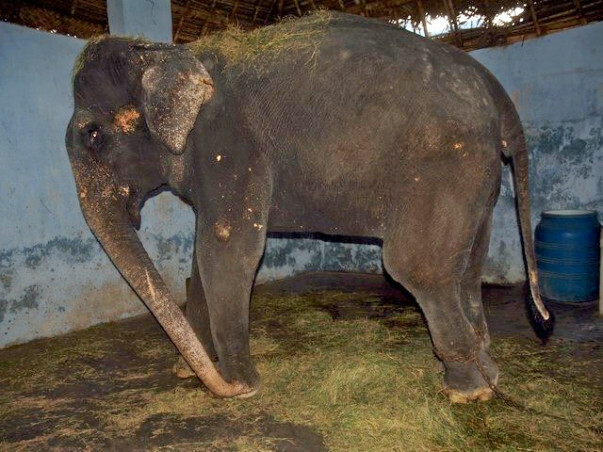 On receiving this information about her medical condition, WRRC issued an E-Mail to the Forest Dept of Tamil Nadu among others, requesting for a change in the travel plan of the elephant, and asked for permission to shift her to Rajapalyam under the care of a local caretaker agency, so that the urgent medical needs of the elephant can be taken care of, until such time it is ready to be transported to the care of WRRC, Karnataka. This goes to show the bona fide intention of WRRC to ensure that the welfare of the elephant is prioritized. Thereafter, given the urgency of the medical requirements of the elephant, the FD, TN issued a revised transit permit dated 10.06.2016 for the elephant to be transported on a short term basis to the caretaker agency until such time its health condition improves and is fit for travelling to the Elephant Care Facility of WRRC. Thereafter, the elephant was shifted to the care of the caretaker agency where the elephant is currently sheltered. It was WRRC that collaborated with the agency for the transfer of the elephant for a short term basis. 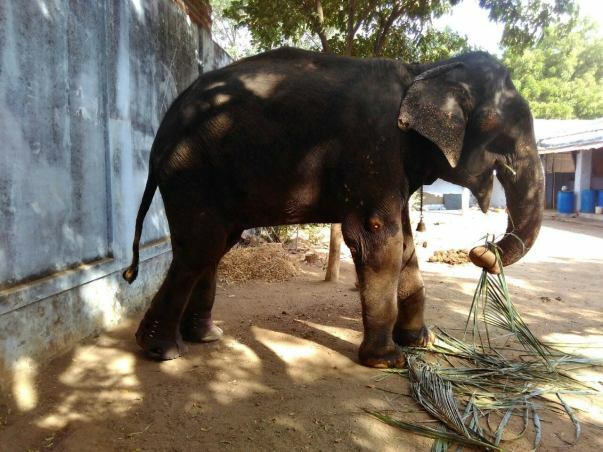 WRRC then supervised the medical care of the elephant though its veterinary doctor, Dr. P. Ramachandran, who was taking care of the medical needs of Lakshmi, who was sheltered at the premises of the caretaker agency. The WRRC has been sending frequent updates regarding the health of the elephant to the TN Forest Department. Last year, a Veterinary Certificate dated April 2017 and the No-Objection Certificate dated May 2017, the FD, TN issued a Form-B Transit Permit dated May 2017, for the elephant to be moved to the care of the WRRC, from the care of the caretaker agency, as she was now able to travel. 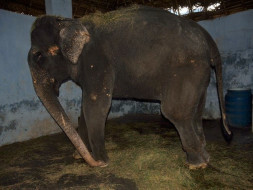 Since the concerned Forest Department is also not equipped to take care of the medical requirements of the Elephant nor do they have any rehabilitation facility to house the elephant as Lakshmi cannot be kept in Forest Camps but requires specialized centres to take care of the special needs of the Elephant. Hence, the health condition of the elephant will further deteriorate if the elephant is transferred to the custody of the Forest Department and it is for this reason that the elephant was proposed to the transferred to the custody of WRRC, which is equipped to take care of the elephant. WRRC has been treating Lakshmi in the custody of the caretaker agency for a period of one year and is responsible for its wellbeing. We have to now go to court, against the caretaker agency, who has proven to be untrustworthy of the trust we placed in them , and is presently mobilising local support with the cooperation of Lakshmi's mahout to ensure , we are unable to move her, despite orders from the authority for the same. We are hopeful that the matter will be resolved and we will have justice for Lakshmi. We will keep you updated on the proceedings of the case. We thank you for your continued patience, support and encouragement and are hopeful that we can give you a positive update very soon. This Ganesh Chaturthi, we bring you a very special initiative. This is a beautiful poem written and narrated by Geeta Gopalakrishnan, a true friend and supporter of WRRC's Captive Elephant Welfare Programme. She is joined by iconic actor Waheeda Rahman, veteran television star Ram Kapoor, well known conservationist and founder of Sanctuary Asia magazine Bittu Sehgal and by Maneka Gandhi, Cabinet Minister for Women & Child Development and a long time advocate for the rights of animals - who add their voices in a plea to save our captive elephants. Lakshmi is still waiting for the final inspection report and green signal from Tamil Nadu Forest Dept, but we are with her this Ganesh Chaturthi at the interim farm, giving her lots of treats, and love and assuring her that she will be on her way to her forever home very soon! May Lord Ganesh bless you with health & happiness in thanks for your generosity in helping his own avataar – the Elephant! Thank You for your patience, encouragement and generosity of spirit! We are delighted to be able to share the good news, that Lakshmi has managed to clear most of the Forest Department checks, there is one last pending check which is going to be done by a senior Forest Dept. veterinarian in Tamil Nadu. Unfortunately, the Tamil Nadu Forest Dept. 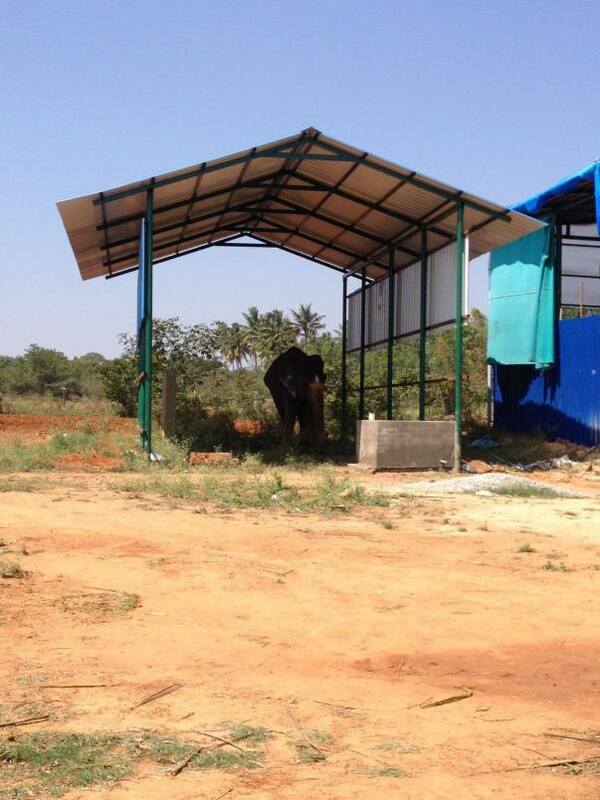 has decided against sending Lakshmi to our Malur Centre to join Aneesha, where we had already prepared her enclosure. They have instead decided she is to go to our Marakanam Elephant Care Facility in Tamil Nadu itself. There she will be joining three of our elephant family members, named Sandhya, Jayanthi and Indu. 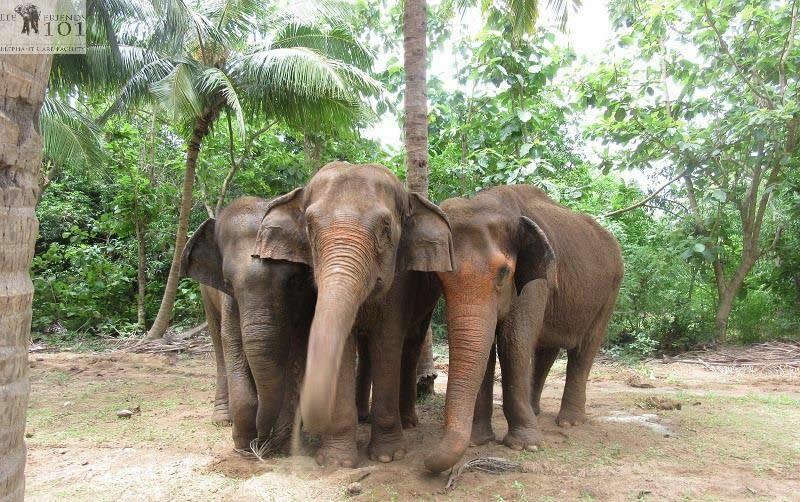 Below is a photo of the trio, who are awaiting Lakshmi's arrival as eagerly as we are. Her enclosure here has been made ready as well. We will keep you updated as soon as we get the final go ahead from the Forest Department. We thank you for having been so patient with us, and sending your love, prayers and encouragement to Lakshmi, who is, we are sure, quite fed up of being stuck in the interim farm and is waiting to explore the lush 13 acres of the Marakanam facility, which will be her forever home!! We too are waiting to take her to her forever home and finally see her becoming part of a herd and enjoying her life, the way an elephant is meant to. We are doing everything we possibly can to speed up the process, so pls bear with us.